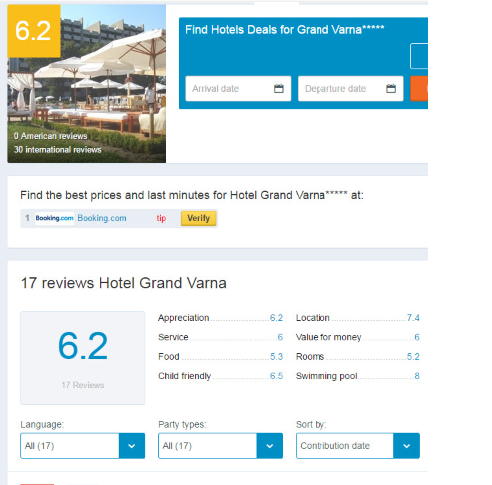 With the help of Reputize, Grand Hotel Varna, a 5-star beach hotel, increased its rating on Trivago from 72 to 76 while also significantly increasing their ranking position just in one month (June 2016). This was possible by using Reputize Surveys and automated marketing tools, without any major investments in renovation or staff training. Reputize integrated a short survey into the WiFi network of the hotel. When connecting to the hotel’s WiFi, guests were encouraged to engage and share their opinion on key aspects of the hotel services - like cleanliness, food, room, staff, etc. About 80% of the guests completed the survey and the hotel management was immediately alerted about any issues. Besides that, the survey integrated data about the room number and the guest’s e-mail address which helped the hotel personalize its guest relations. Click here to see the current rating of the hotel in Zoover. 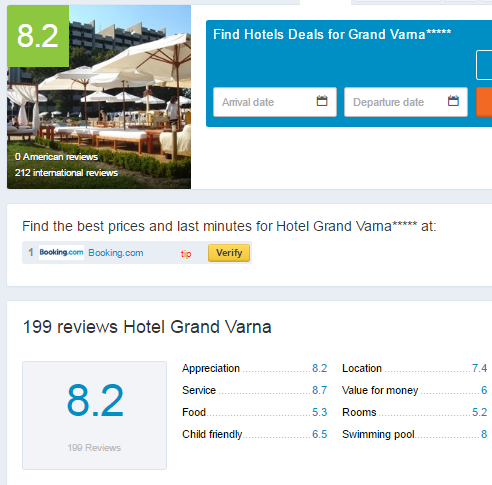 Click here to see the current rating of the hotel in Trivago. 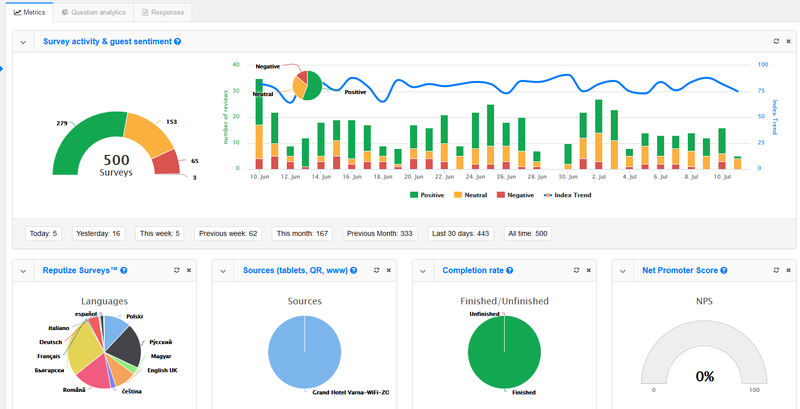 Here is a screenshot from the client backend which shows all survey activity.